Sail away with these fun nautical crew socks! 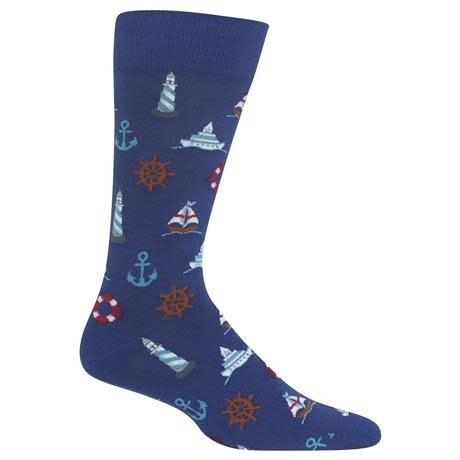 Sailboats, anchors, ship's wheels and lighthouses adorn these novelty crew socks – they’ll look great with some deck shoes or just about anything. They’re a pair of fashion novelty crew socks that will get your sea legs under you in no time!